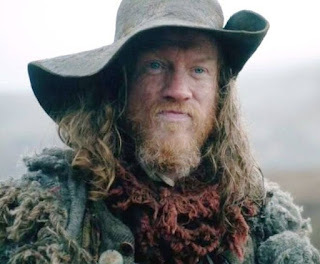 The fabulously talented Simon Meacock agreed to interview with Outlander Homepage to give us the inside scoop on his portrayal of Hugh Munro on Outlander, in the episode “Both Sides Now.” Mr. Meacock is currently working on no less than three projects which will air next year. Read on to find out about his experience filming on Outlander, drinking with Sam and Cait and the prank Anna Foerster pulled on Sam that day. He also tells us what he’s working on now so we can see what this actor can do when he can use his tongue to communicate. 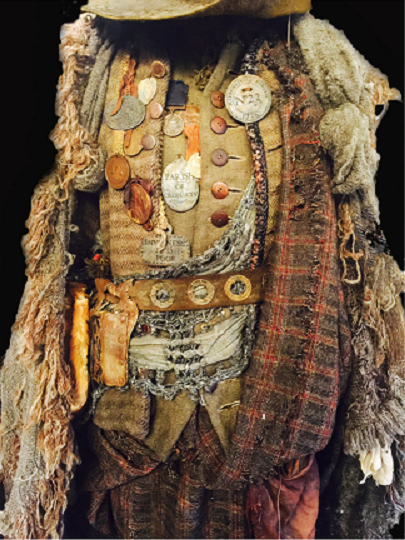 OHP: Were you familiar with the Outlander series prior to auditioning for the role of Hugh Munro? Simon: No. I had never heard of the Outlander series until I auditioned for the role. OHP: How much lead time did you have once you found out you'd landed the role? Simon: It seems a long time ago now, but I think we had about a month or so. 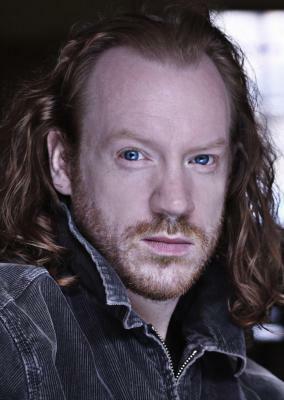 OHP: How did you prepare as an actor for the role, after learning his backstory? Simon: After accepting the offer to play Hugh, the first thing I was asked to do was to visit Fangs FX who are a company that specialize in making character teeth and facial prosthetics for film and television. They took a cast of my teeth and made two prosthetics that clipped onto my teeth and held my tongue down. The first was to help me get used to communicating without using my tongue and the second was actually made to look like a tongue that had been cut out, though this wasn’t possible to see whilst we were filming without putting the camera directly into my mouth! The next stage was to work with Anna Foerster, the director of “Both Sides Now” and Sam Heughan, to work out a form of communication that wasn’t sign language, as we know it today, because that didn’t exist in the Outlander time period. OHP: How long was the rehearsal to get the correct sign language going with Sam Heughan, knowing that there was not going to be authentic sign language used (listen to Ron D. Moore’s podcast of Episode 8 for an in-depth discussion about the sign language issue)? OHP: The costume looks like it weighed a ton. Was it as heavy as it looked? Simon: The costume was pretty heavy. Mainly because it had so many layers and the enormous cape covered with Gaberlunzies! Check out Terry Dresbach's wonderful site! OHP: We understand you've now finished your Masters in screen writing. Do you prefer writing to acting? Simon: Acting is my first love and as long as I am given opportunities, I will always be acting. I have always been interested in writing and decided a few years ago that I wanted to dedicate more time to it and to try and see if I could possibly make it as a professional screenwriter. I was lucky enough to get on the MA Screenwriting course at Bournemouth University in the UK, which has a two-year, part time distance learning option. As a person who needs to have an outlet for my creativity, it was the perfect choice for me and, strangely enough, since making that decision I have had more acting work than I have had in a long time. I believe having another focus, separate to my acting, has actually enhanced my acting career. As acting work can be sporadic it has been hugely beneficial to me to concentrate on my writing whilst not acting. OHP: We know you're currently filming a new project. Please tell us about it and when we can tip our fans to your next appearance. Simon: I’ve actually had a very busy month where I’ve been filming three projects! The first was for a cult comedy series called Peep Show. It is a much loved television show in the UK and I was extremely happy to be able to appear in its 9th and possibly last season. The second was appearing in a new UK comedy murder mystery show called Agatha Raisin which stars Ashley Jenson from Extras and Ugly Betty. The third and latest project is appearing in the first episode of the second season of US TV show Gallivant. I think all will be aired in the New Year. OHP: What has been your favorite part or character or one of your favorites? OHP: Tell us about the Outlander set. 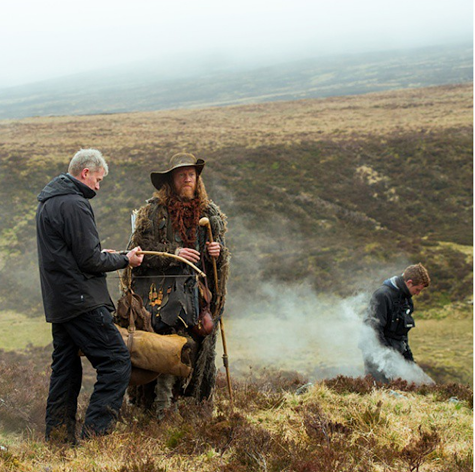 Did you enjoy filming in Scotland? Simon: We shot our scene in the Highlands near Loch Rannoch. The day before we shot the scene, Caitriona, Sam and myself had the most beautiful journey through the glorious countryside of the Highlands of Scotland to Loch Rannoch. It was such a memorable journey and the sun shone throughout. The next day we shot the scene on the side of a mountain where it was freezing cold and it rained the whole day!! OHP: How long did the scene with the Frasers take to capture? Simon: Despite the rain we shot the whole scene in one day. OHP: Any funny story you can tell us about filming with Sam and Cait? OHP: Cait's drinking skills are legendary now. Did you get a chance to throw back a couple of whiskies with them? Simon: I can tell you that as it was Sam’s birthday, there were more than a couple of whiskies thrown back that night by the whole crew and cast that were there!! OHP: What would be your dream project of the future? Simon: As I’m now an aspiring screenwriter, my dream would be to have one of my scripts made and even for me to direct it. As an actor, it would be to play a regular role in a hit TV show or a major part in a successful movie. Well, there you have it Outlander fans. Sounds like Simon was there for a very special day, a beautiful drive through the Highlands on a rare sunny day and, best of all, a chance to help Sam celebrate his birthday. Don’t we all wish we’d been there to see the look on Sam’s face? Not to mention throwing back a few whiskies with him? Also seems that we’ll have a chance to see a lot more of Simon in a number of other projects in the near future. Aren’t we lucky? Thank you so much Simon for your generosity in taking time to answer some questions for the Outlander Clan. Can’t wait to see what you do next! Pssst…When I mentioned to Simon that I was disappointed about not seeing him in S2 of Outlander, the tease of a man said, “You’ll just have to wait and see.” Could it be??? It was truly my pleasure to interview Simon. We here at OHP hope you enjoyed the interview as well. Cool interview, I'm glad he left it open on whether or not he'd be in Season 2... Hugh does have a fairly important role to play in Dragonfly in Amber, if not a big one, so I really hope he's being a tease on that.